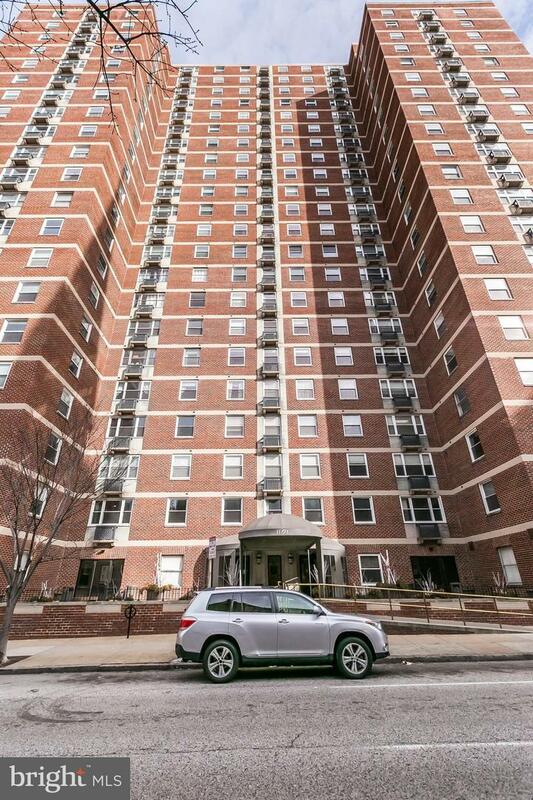 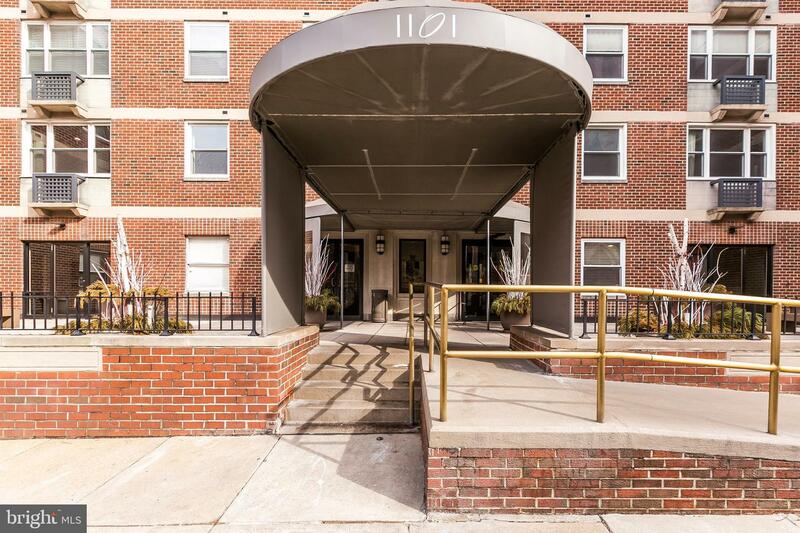 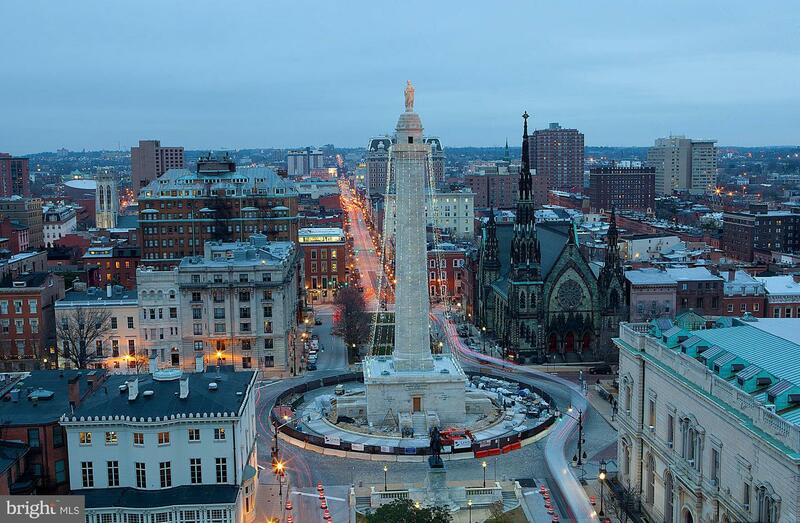 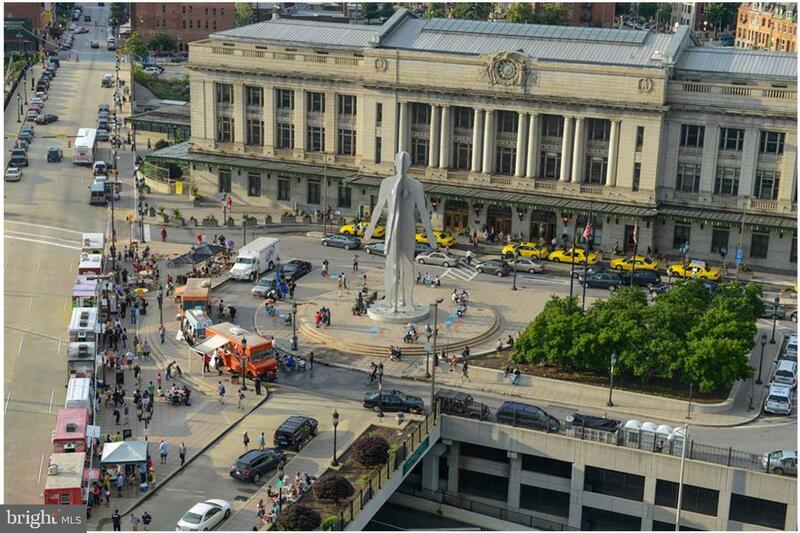 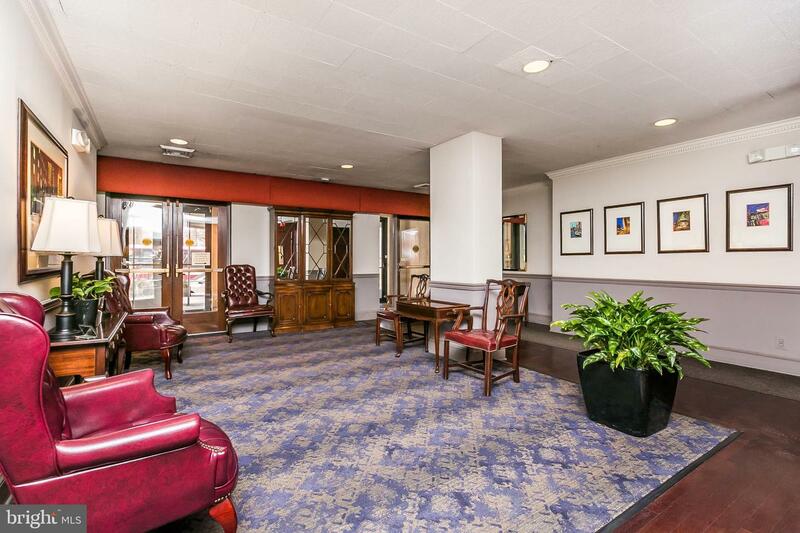 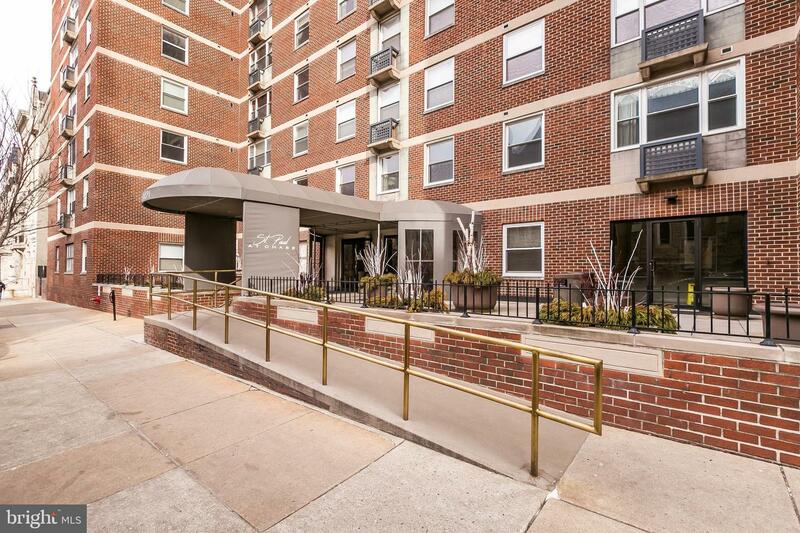 Spectacularly renovated in full service high rise centrally located to downtown, hospitals, Penn Station, colleges. 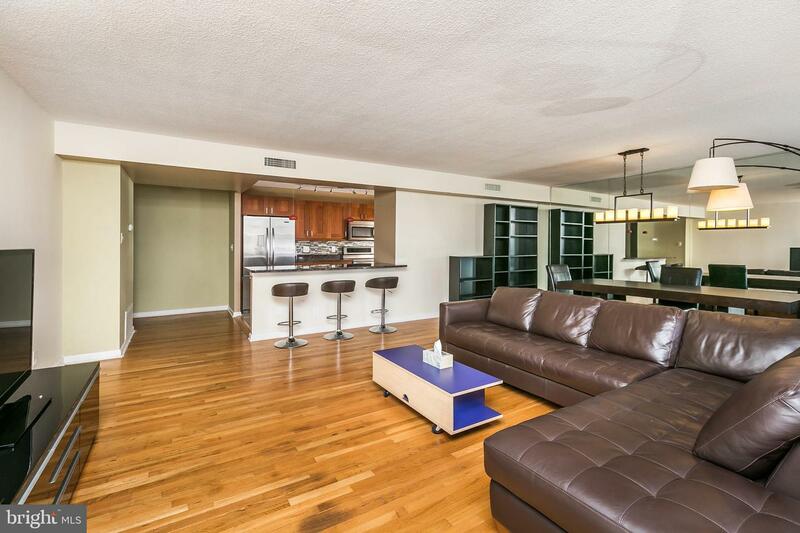 Beautifully appointed and bright, open floor plan, yet with private spaces and numerous storage closets. 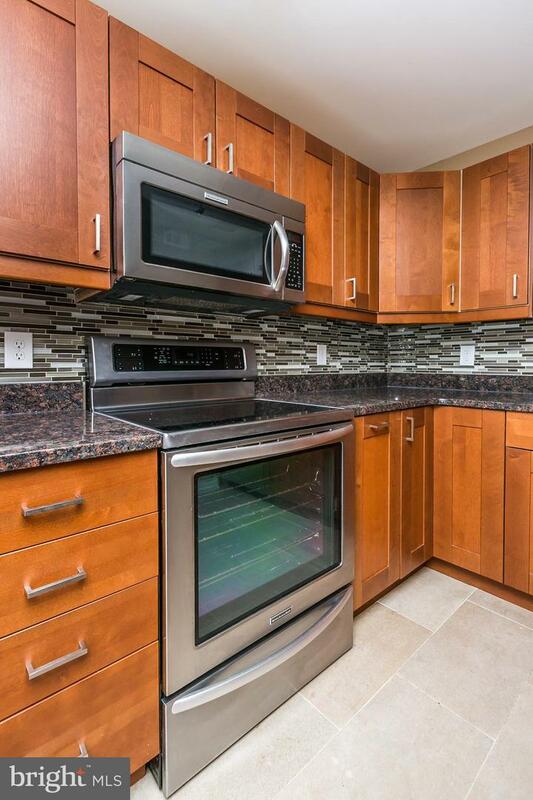 Enjoy the gourmand's kitchen with granite counters and luxury appliances which include induction cooking. 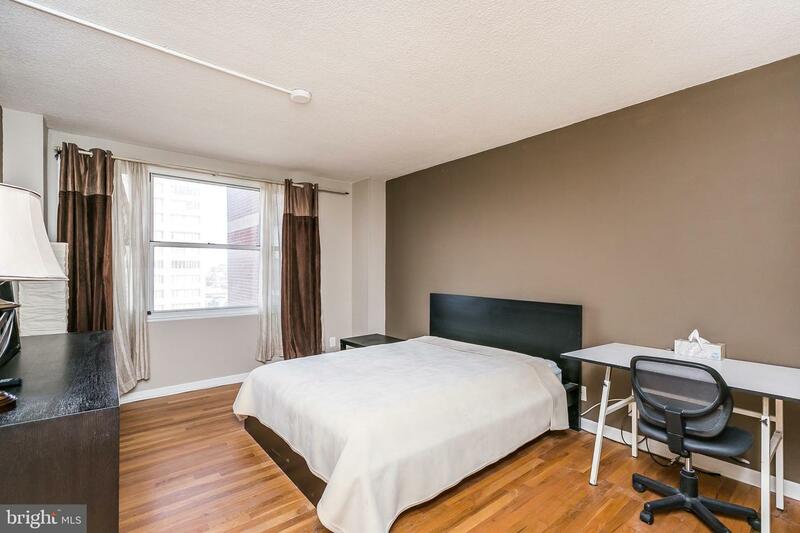 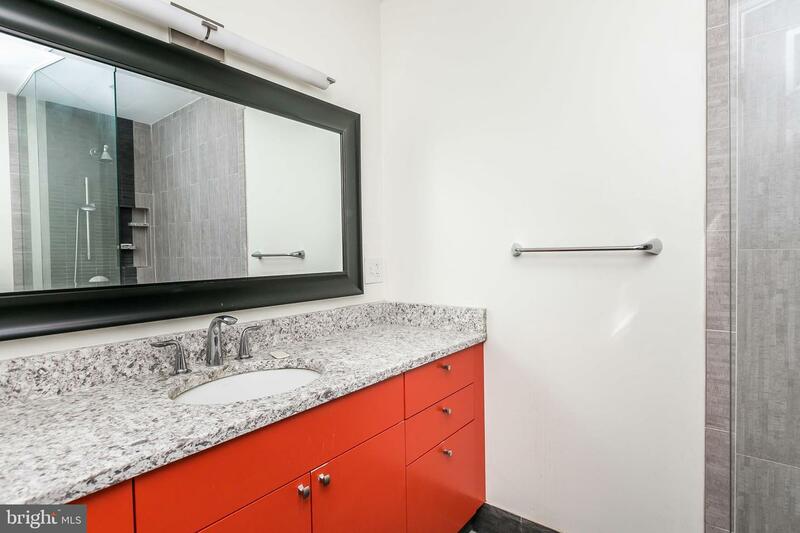 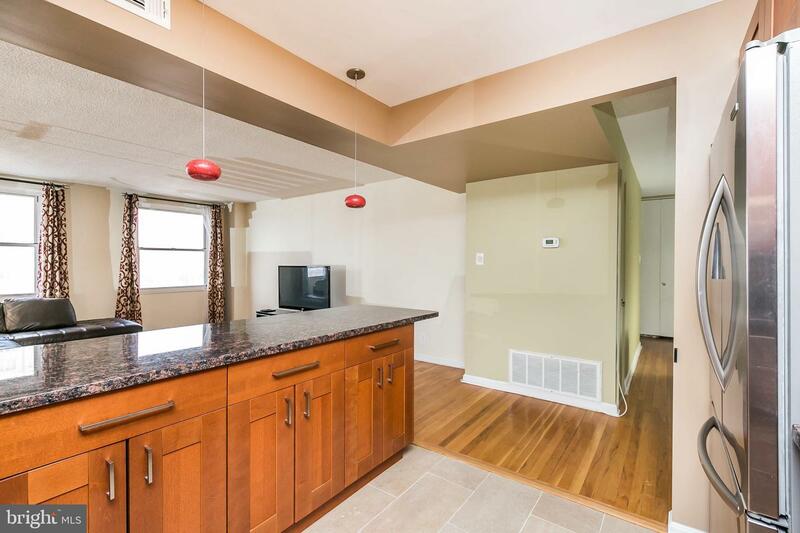 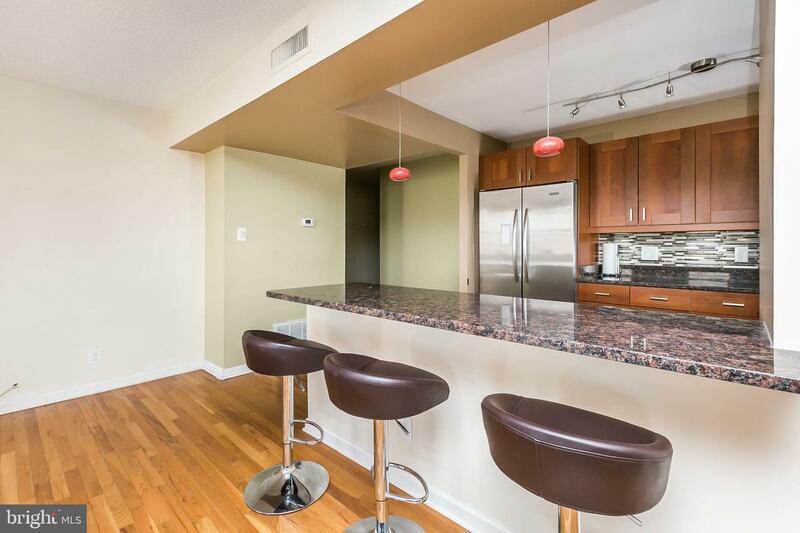 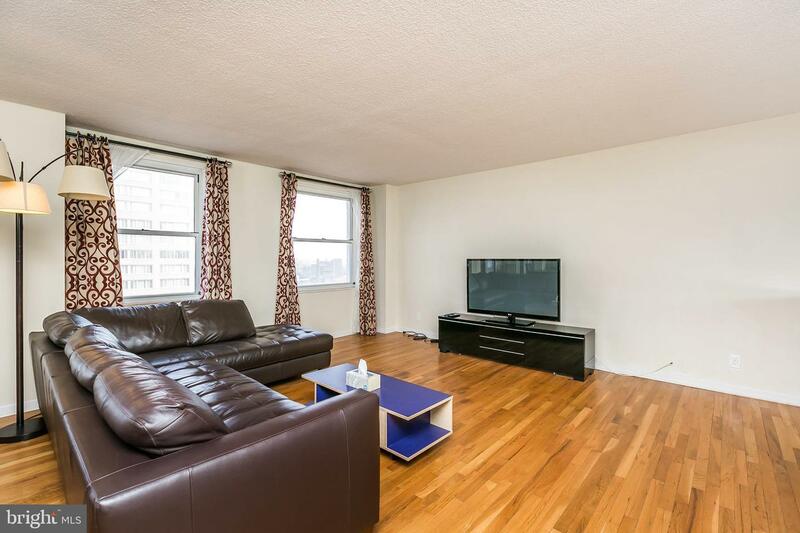 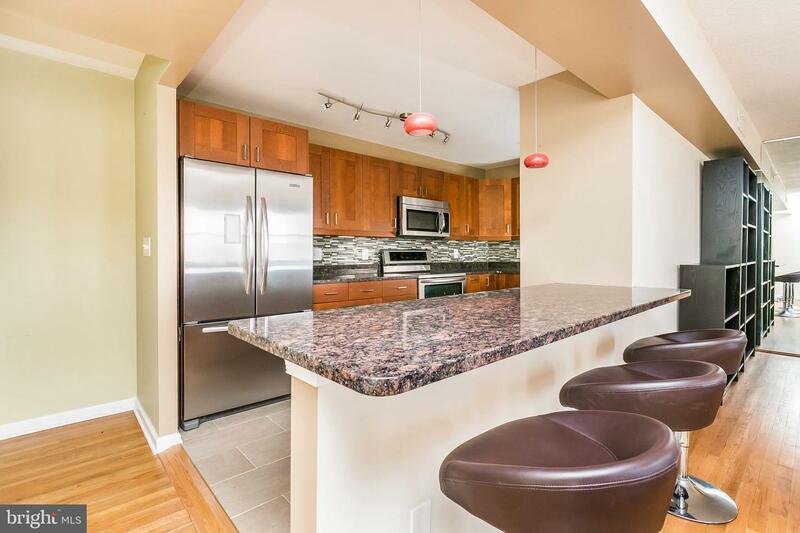 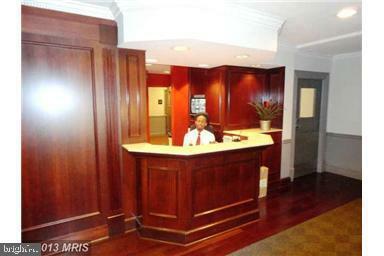 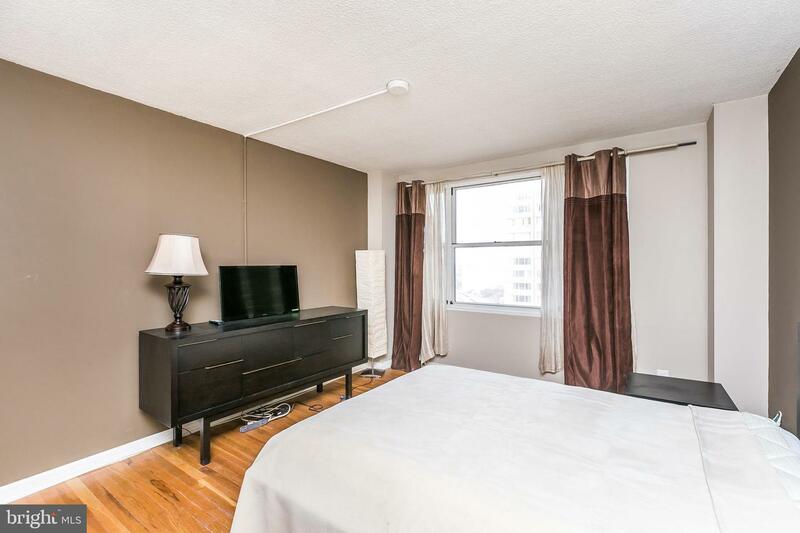 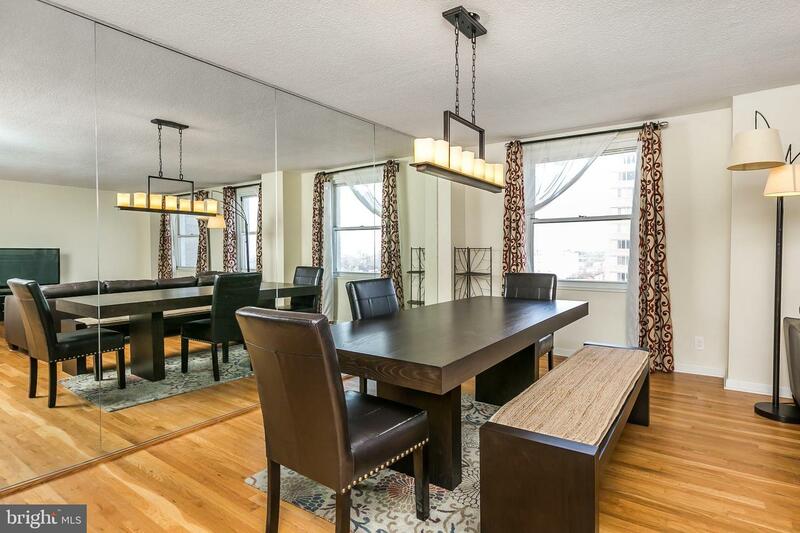 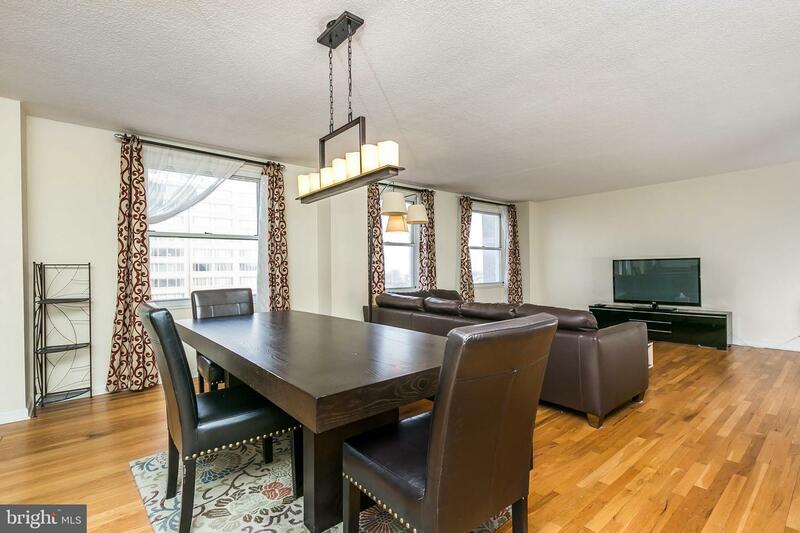 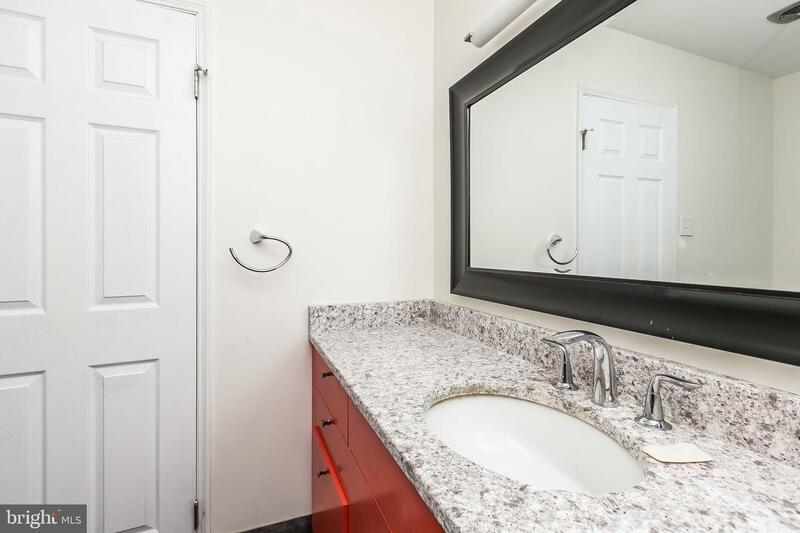 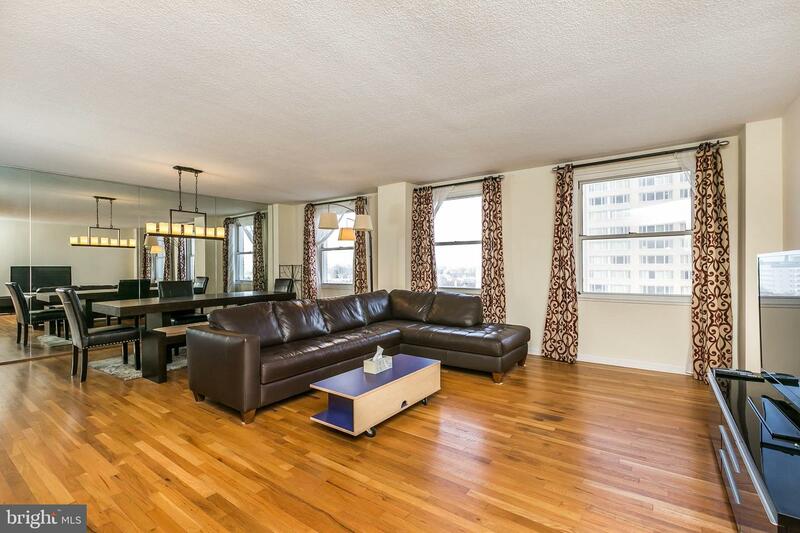 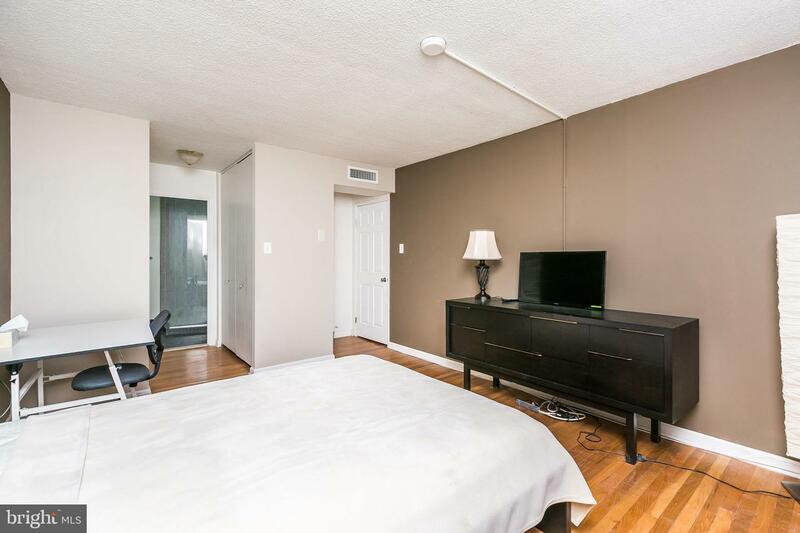 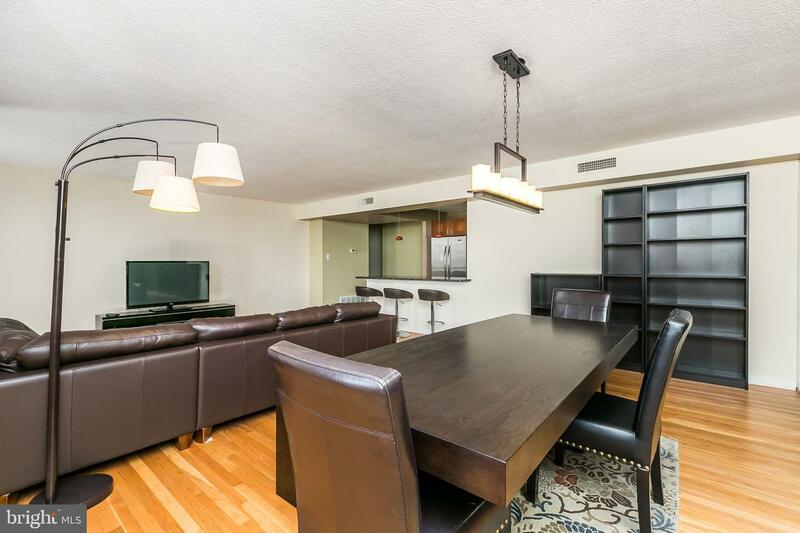 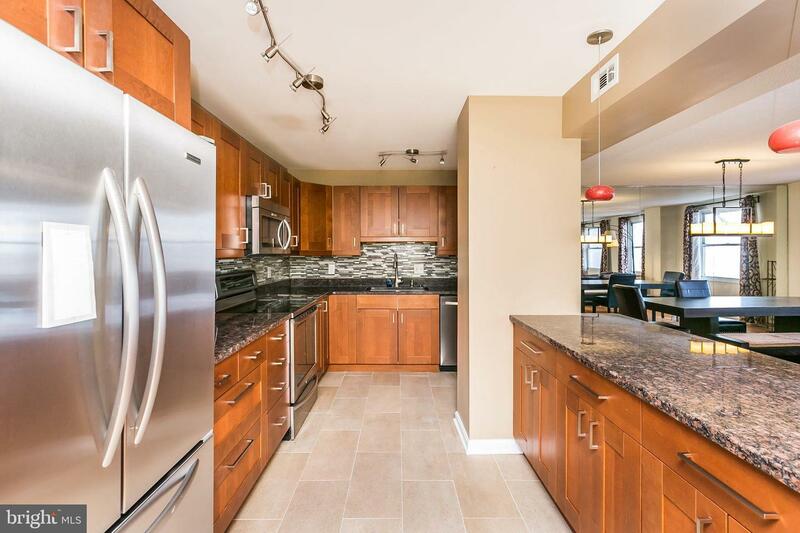 Beautifully refinished solid hardwood floors are throughout the condominium. 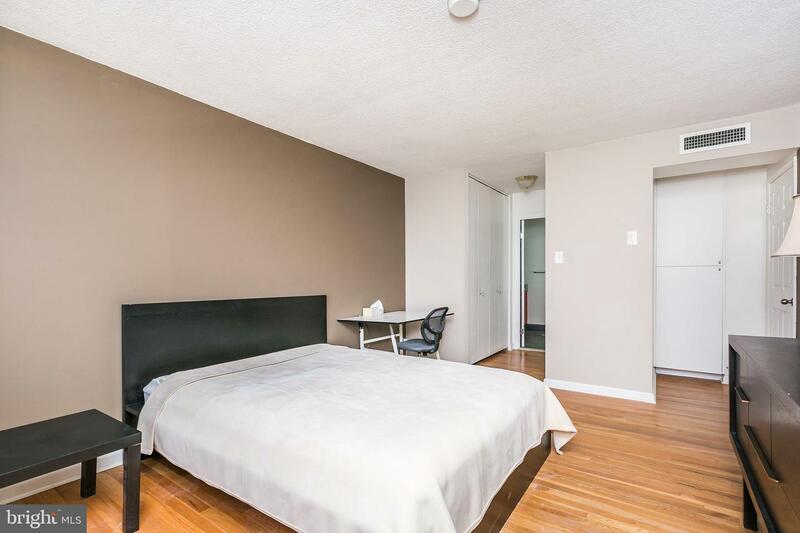 Bedroom wing leads to spacious guest bath and bedroom and a gracious master suite. 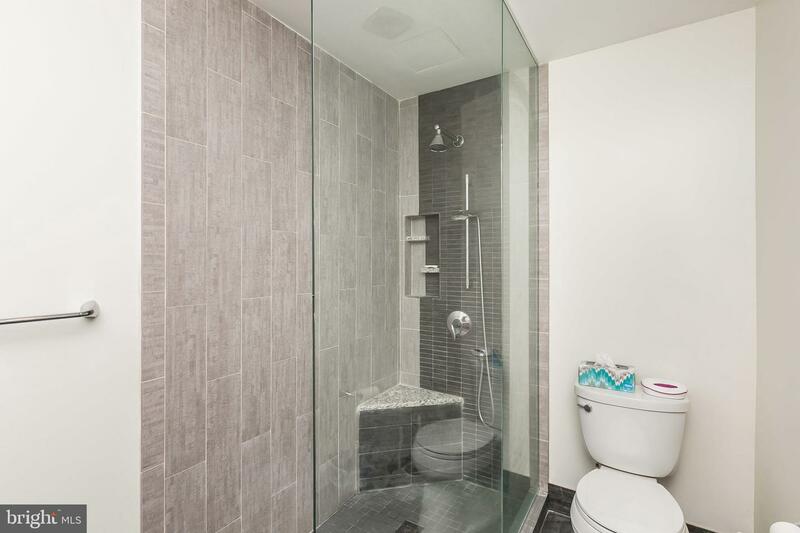 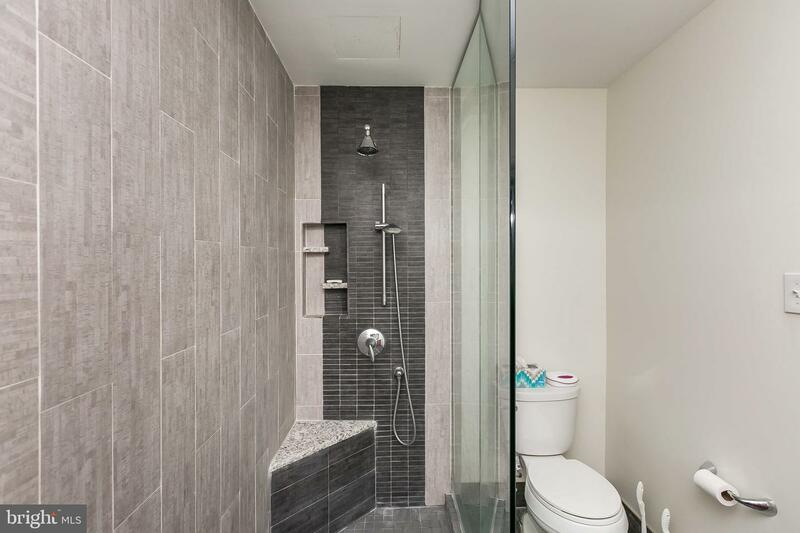 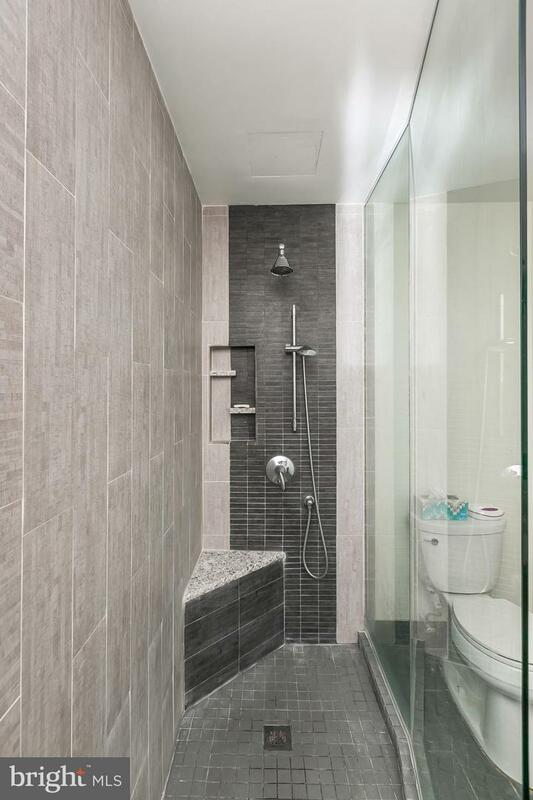 This suite includes a custom designed luxury bath, where one may rejuvenate in the elongated, glass enclosed spa shower. 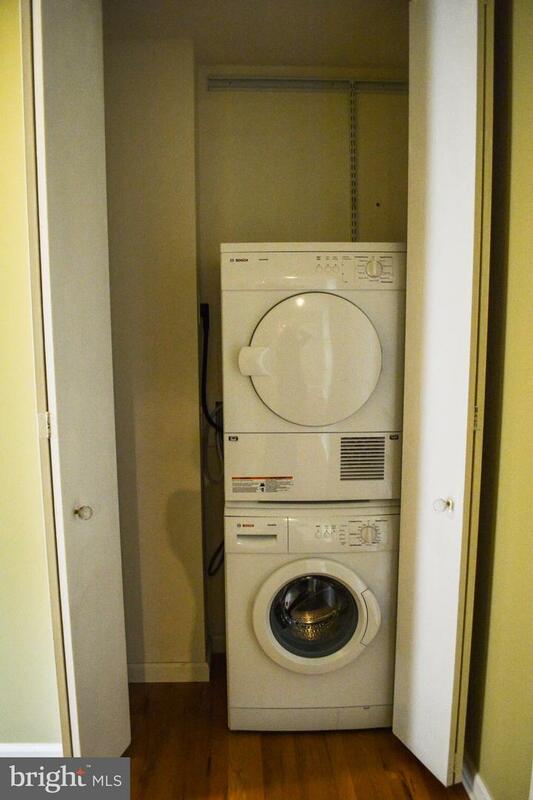 Bosch washer and dryer in separate laundry closet. 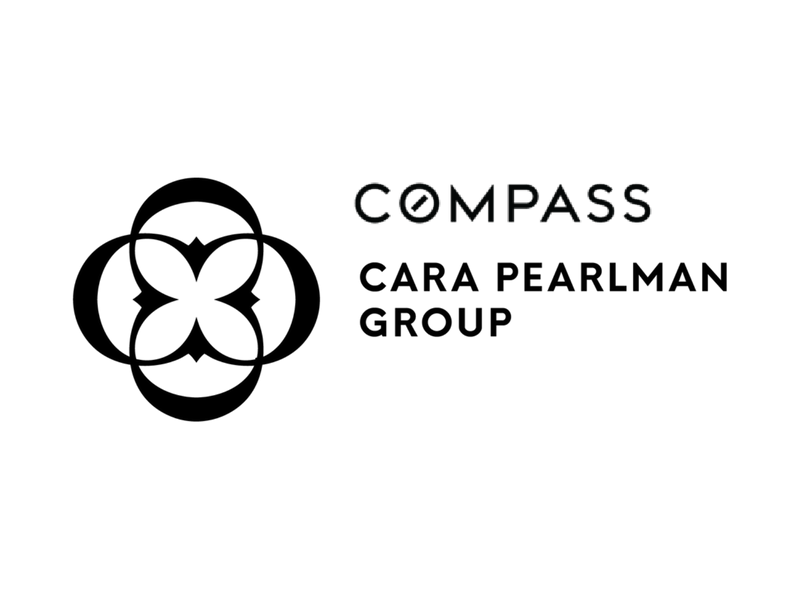 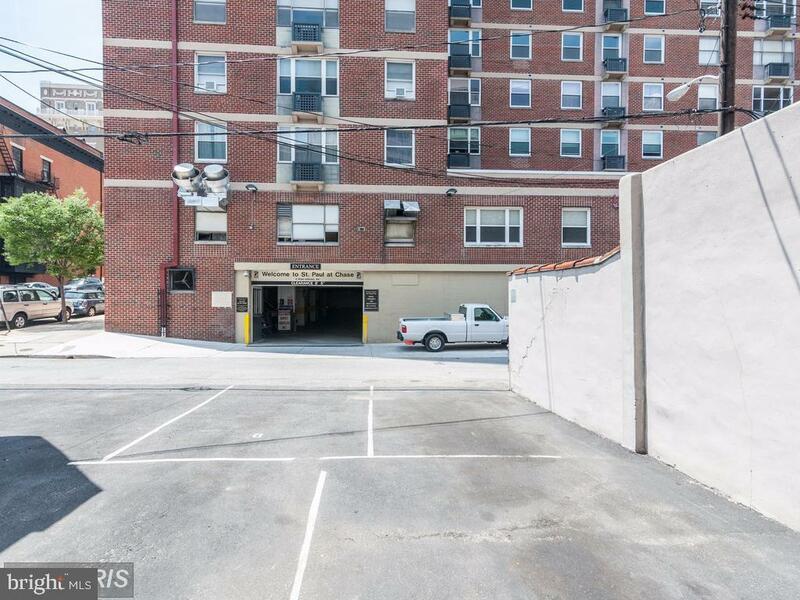 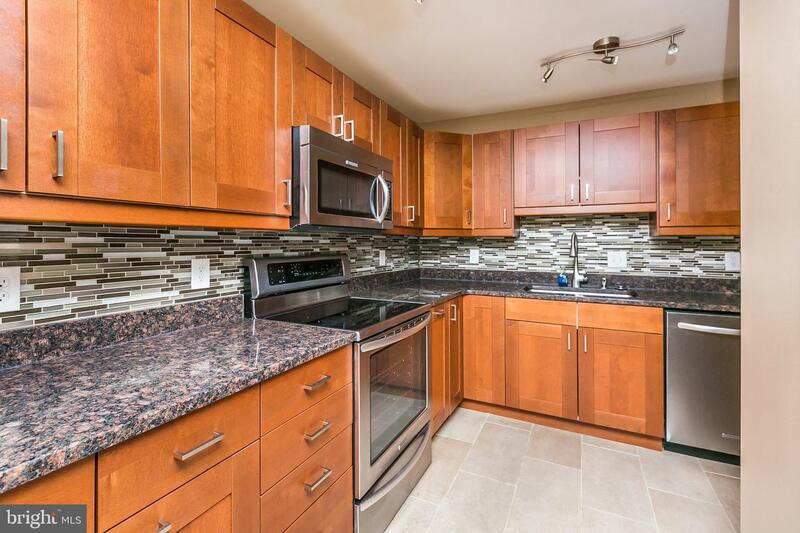 Available secure, underground parking, on site grocery market/restaurant, 24/7 concierge.